Yellowbacks were cheap, 19th-century British literature sold at railway bookstalls, with colorful, sensationalized covers to attract buyers. Emory University’s Manuscript, Archives and Rare Book Library (MARBL) has acquired 4,000 19th century paperbacks and yellowbacks, which combined with its existing holdings of yellowbacks will make it the largest such collection in this country, perhaps in the world. The collection was acquired from Chester W. Topp of Cleveland, says David Faulds, MARBL rare book librarian. He says he’ll be able to confirm the size of the collection once he finishes cataloging it. Best of all for readers, Emory Libraries plans to make the new collection available online, which Faulds estimates will take approximately three years to catalog, organize and digitize. Emory announced the completed digitization of its previous yellowbacks collection last spring. About 1,260 yellowbacks were scanned into a digital format and made available on the Libraries’ website, including books by authors such as Jane Austen and Mark Twain as well as popular yellowback writers like Wilkie Collins, Anthony Trollope and Ouida. Yellowbacks were cheap, 19th-century British literature sold at railway bookstalls, with colorful, sensationalized covers to attract buyers. Topics varied widely and included well-known literature, detective stories, romance, sports, medicine, science, war and other subjects. The nickname comes from the yellow-glazed illustrated covers. 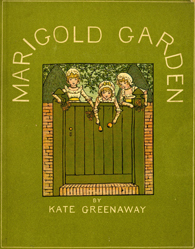 Kate Greenaway is a well-known Victorian-era book illustrator whose work is still recognized today. One exciting find in Topp’s collection is the first paperback edition of “Dracula” from 1901. “We have a copy and the British Library has a copy,” Faulds says. 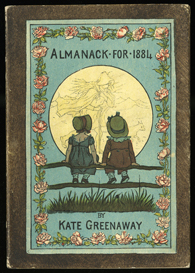 “Interestingly, Bram Stoker revised and abridged his work for the paperback edition.” Another discovery is a collection of books by Kate Greenaway, a well-known Victorian-era book illustrator, particularly of children’s stories. Her work is still recognized today. Faulds learned of Topp’s collection more than a year ago, while he was preparing a small exhibition based on MARBL’s existing collection of 1,260 yellowbacks accumulated during the 1960s and ’70s. He was consulting a bibliography of yellowbacks and Victorian novels written by Topp and learned that the 92-year-old author had been collecting such books for decades. Faulds contacted Topp’s son, publisher of the bibliography, and learned the family wanted to find a home for his father’s collection at some point. Faulds expressed MARBL’s interest in the books, and the two sides worked out an agreement.